The prophet is back! 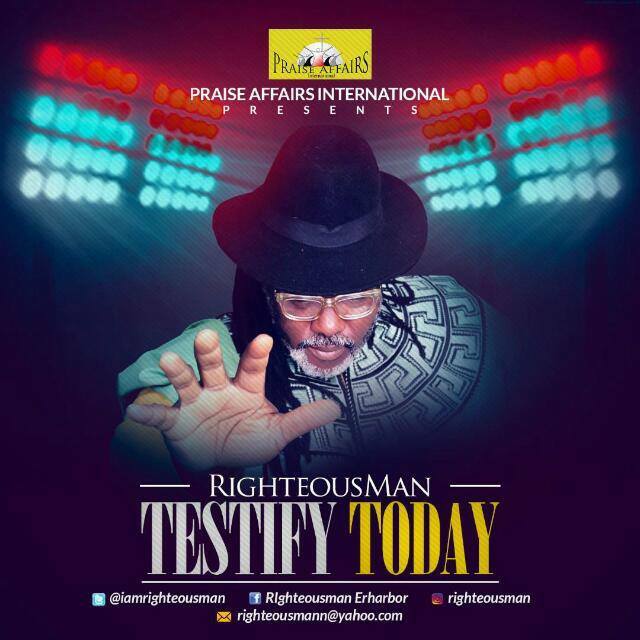 Multiple award winning Gospel Reggae Legend, Righteousman is back with a prophetic message for every expectant soul. This time of the year is synonymous with doomsday predictions for the coming year to cause panic and fear in the hearts of people. It’s okay as long as God is the One that sends the prophets. But Righteousman was sent with the Good News for all. It’s not doomsday but boomsday. It’s TESTIFY TODAY! The reggae icon seeks to encourage everyone out there that while there’s mourning and sadness all around, the ones who know their God will do exploits, see miracles, stand when others are falling, laugh, dance and testify today. It should be noted that the testimony is not in the distant future. It’s right now. It’s today! The song comes off Righteousman most recent album titled (I DECLARE) which is available on the following stores (iTunes, amazon, Spotify. Google Music, Deezer etc).